I was recently reminded of this interview I did for BBC Mundo (Spanish language version of BBC) last year on the subject of China –Zambia relations. The interviewer was interested in the dynamics of mine owner and worker relations, as well as the wider political picture of China –Africa relations. When in opposition the Zambian President Michael Sata sold himself on a platform that promised to challenge worker abuse by Chinese owned mines, but now in power he has become pro-Chinese and has failed to move against mine owners. The nature of this relationship reminds us of the dangers inherent in a country remaining dependent on a small set of exports. 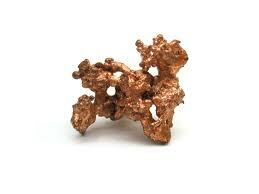 Copper is the lifeblood of the Zambian economy, a major employer and hard currency earner. China is a big investor in the sector and imports boat loads of the stuff, which is widely used in house building, manufacturing and electronics. This BBC report highlighted the poor relations between Chinese management and the mine workers, which are aggravated by poor wages, lousy conditions along with distrust and dislike emanating from both sides. Last year these feelings erupted into violence with a Chinese mine manager being killed in dramatic circumstances, crushed by a mine trolley. Of course these events have to be put into context; mining is a dangerous business and worker – owner relations are poor in South Africa and other countries. The Chinese mine owners in Zambia are no doubt undesirable employers, but they come from a country where mining fatalities are high and conditions are also very poor. Of course they should be doing more to improve conditions for the miners, but the Zambian government are also required to both enforce the law and reform it to help improve pay and benefits for miners. But the Zambians are also in a dilemma thanks to their dependence on Chinese imports. If they pressure the Chinese too much, they run the risk of losing investment and trade, but if they do nothing, the risk is that they are seen as pushovers and of course they will court unpopularity with voters. This situation is also relevant to the wider African picture – will China play a neo-imperial role across the continent or will their non-interference policy and African government’s ability to get a fair deal and bargain effectively prevent this? An area I will be covering more of in the coming months. Human Rights Watch produced an excellent report on the Zambian issue which can be read here.